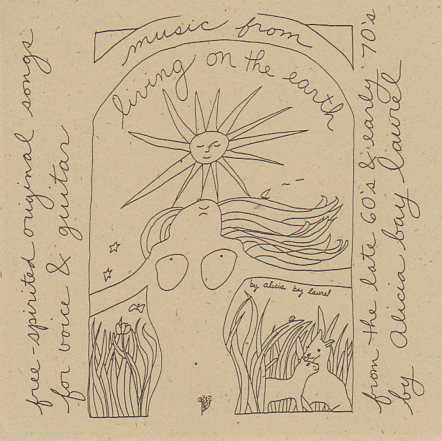 Posted on June 28, 2007 by Alicia Bay Laurel	in Blog and tagged travel diaries. 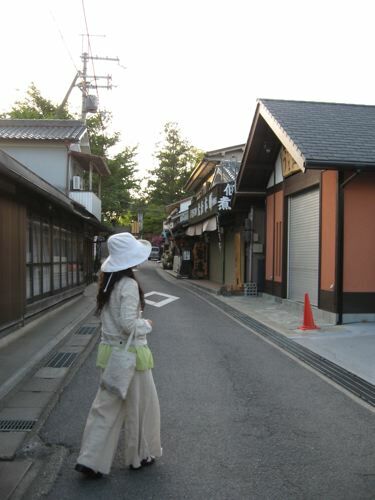 After visiting Kinpusen-ji Temple, Sachiho Kudomi and I continued through the quiet streets of Yoshino on our walk. We looked into an apothecary store, where what appeared to be a hippopotamus’s head looked back at us. 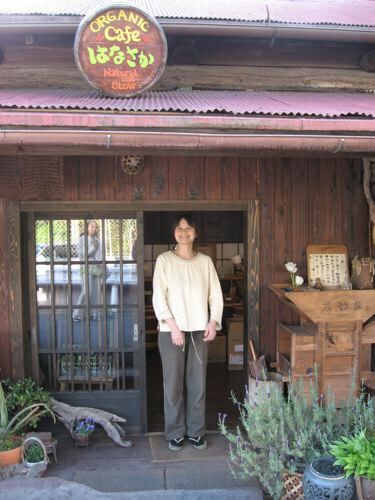 We visited the Organic Cafe, bought some healthful slow food treats, and made friends with the owner. 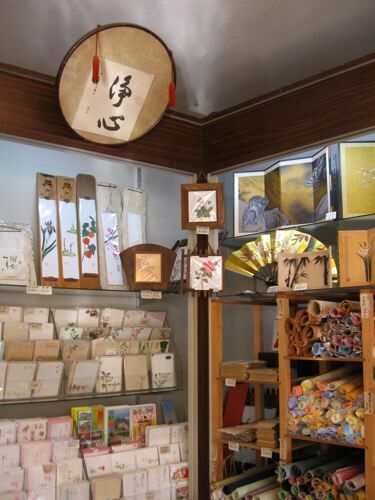 I bought a beautiful handmade card with cherry blossoms on a gold background for my mom at the paper store. 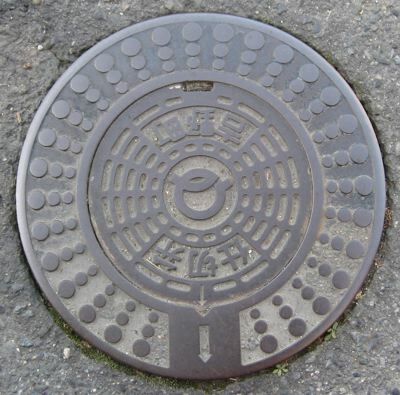 I, of course, photographed the Yoshino man hole cover, and was surprised that, here in the premier cherry blossom viewing town of Japan, the man hole covers didn’t have any cherry blossoms in their design, as they did in so many other towns. 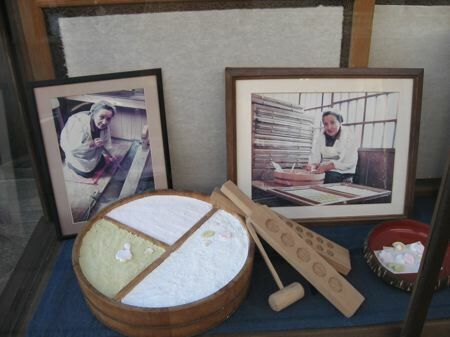 Instead, Yoshino’s graphic is strictly geometric, not unlike some of the crop circle designs. 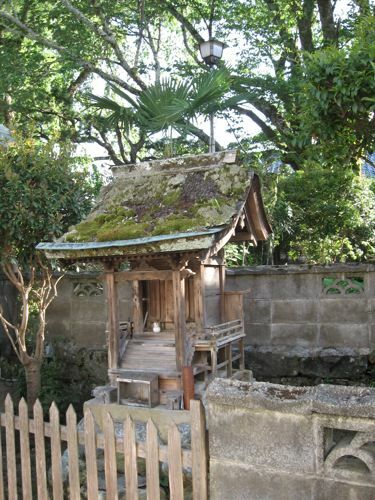 Next to the road I saw a small shrine that reminded me of a southeast Asian spirit house, with a gorgeous gathering of moss on its roof. And just off the road, someone had set benches for picnics under the tall trees. We saw several shops specializing in handmade kudzu candy, made from the starchy and medicinal roots of an aggressive wild vine that environmentalists strive to keep from engulfing the forests. 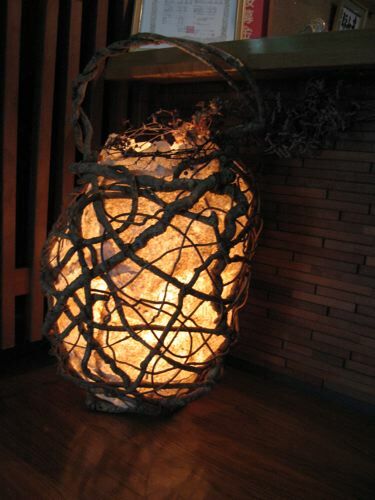 Seeing the kudzu roots in the window display, I realized that the interesting floor lamp in the lobby of the ryokan was made from kudzu roots and handmade paper. 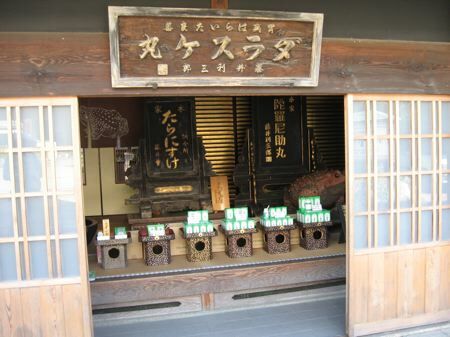 In Yoshino, you can even buy decorative molds for making kudzu candy yourself. 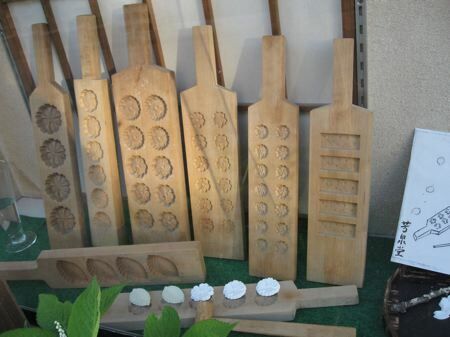 Another display showed candy-makers using these molds. 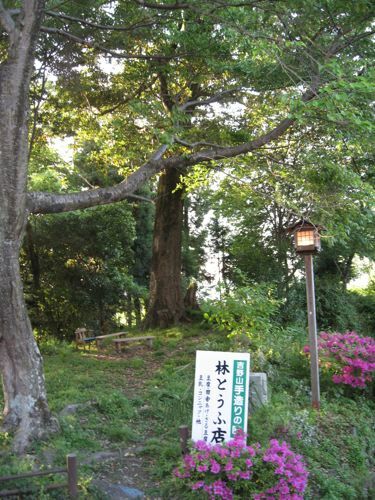 Sachiho and I visited a temple where she had led a meditation retreat the previous year. 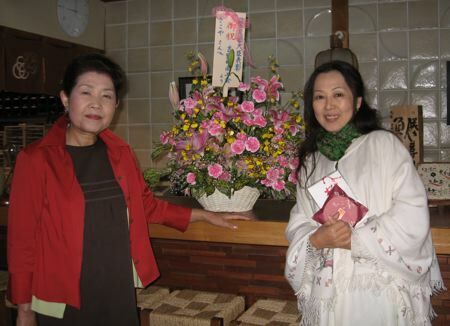 The woman who cared for the temple (Sachiho referred to her as “the mother of the temple”) welcomed us warmly. She even allowed me to photograph the murals with the couples in yabyum inside one of the smaller rooms of the temple. 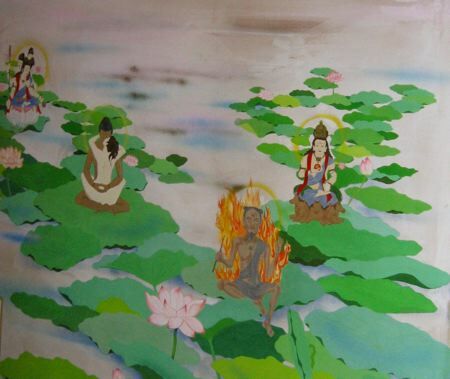 I wonder why there’s a guy who’s on fire. Surely these murals illustrate a story. Or several! 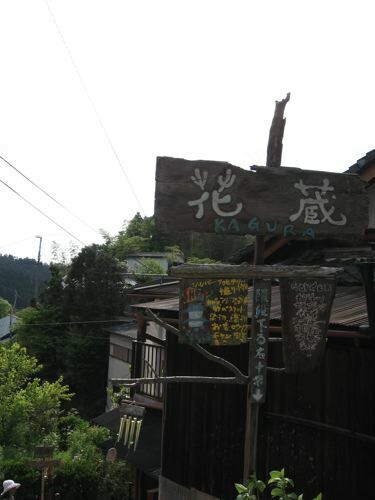 When we got close to the ryokan again, we turned down a small side street, actually more like a little mountain trail with a cool driftwood sign, to visit Yatchan, Sachiho’s ceramicist friend who had gotten us the amazing room at his parents’ ryokan. 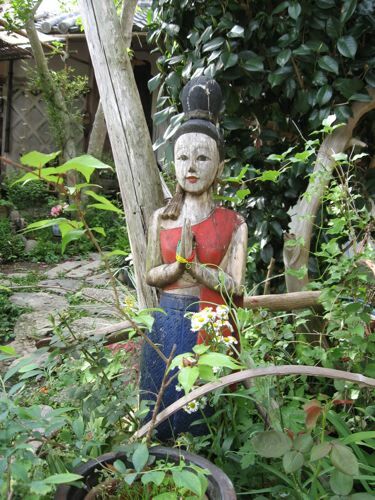 On the trail to his house, we saw a praying statue from Bali, no doubt a souvenir from one of Yatchan’s travels. 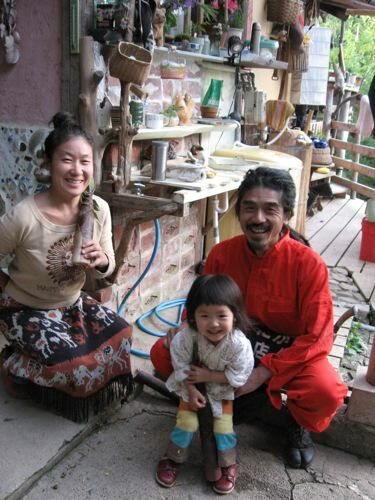 Yatchan, his wife Fumi-chan, and their lively little daughter Nagomi, were all pleased to see us. 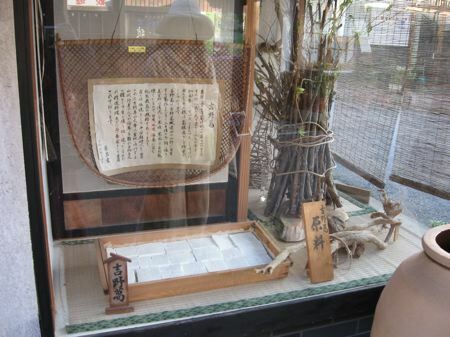 Fumi-chan had just harvested fresh bamboo shoots, one of which she is holding. Nagomi danced about and laughed, hid and burst out of hiding, grabbed a large bamboo shoot, and giggled. The language barrier did not prevent me from playing peekaboo with her. 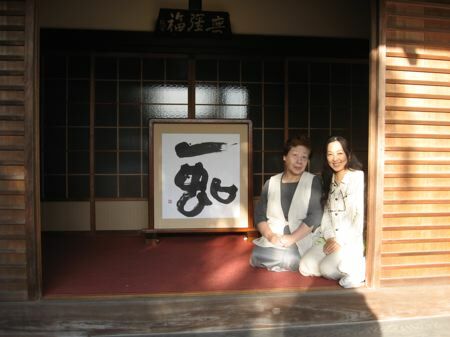 When we returned to the ryokan, we met Yatchan’s mother, and thanked her for the fabulous room and service. 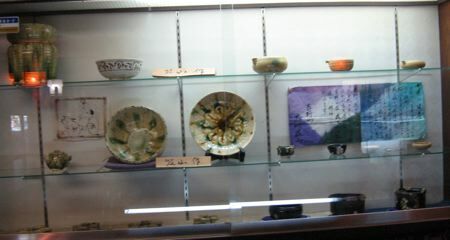 She proudly showed us a glass case of Yatchan’s ceramics.